The tight corners give a modern aspect. 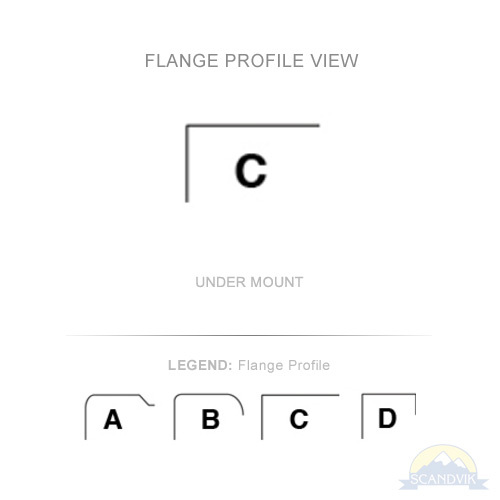 The flat flange facilitates the mounting under the top to obtain a free working surface when not in use. The brilliant satin finish reduces the need of care. 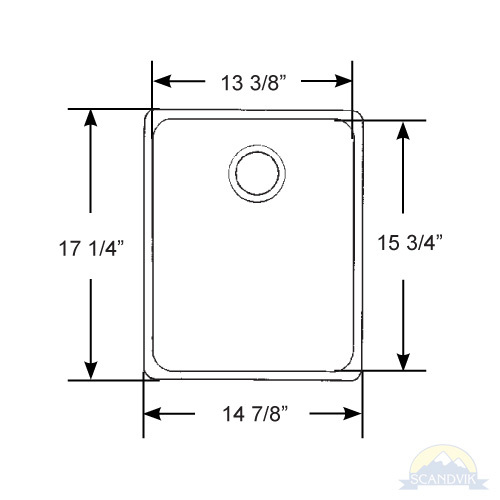 The lowered draining hole allows a complete drainage of the water. 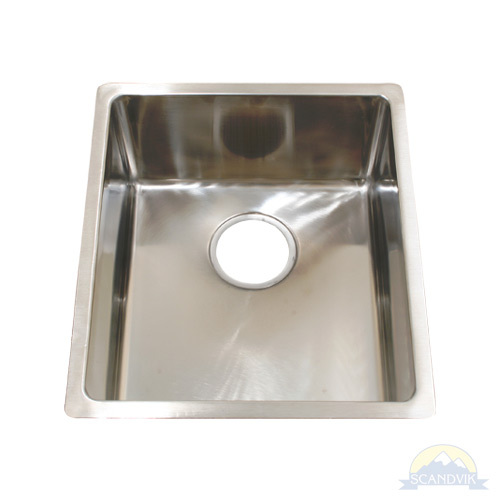 Note: Use drain #10333 for this sink. This is a standard garbage disposal drain opening. For under counter mount only.